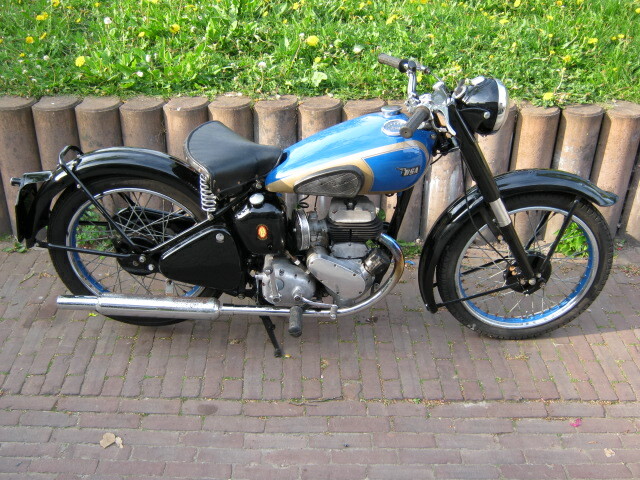 This BSA was restored and rebuilt in the beginning of this century, but has been standing in a garage for a long time. By this the chrome of the rims and the exhaustdamper got bad. Paint is still in good condition. At the moment the bike runs rides and works well, but because of the longtime it hasn't been used it is wise to give it a good check-up. Is with Dutch registration. 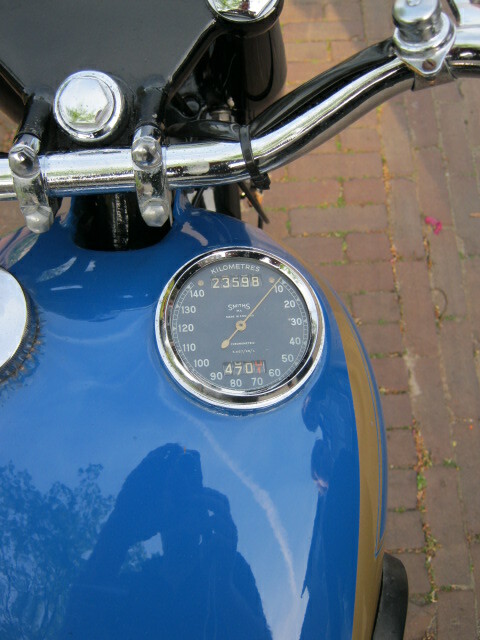 Nice little bike with its stiff frame and speedo in fueltank.